In this complex, interconnected, ever-changing world, the purpose of Return On Energy is to help energize individuals, organizations, and communities. ROE helps clients to tap into their unlimited positive human energy to create a thriving culture, nurtured by a healthy working climate where people flourish and organizations grow and prosper in productive, measurable and practical ways. Work environments where psychological safety and accountability form the foundation for creativity and innovation. Our job is to challenge clients to reframe from traditional problem solving to focusing on strengths and possibilities. Working with our strategic partner Jackie Stavros, co-author of Conversations Worth Having, we can help you to create meaningful and energizing conversations. We can also help you to measure your progress in whatever category is most meaningful to you and your business needs. Dr. Greg Evans works with us to create, implement, and test positive psychology based interventions and programs. Build a thriving culture that will be a strong and agile foundation for your organization to grow and flourish. Create a healthy work climate where people are engaged, accountable, feel safe to play and be innovative. We focus on helping our clients to embrace the National Standard of Canada for Psychological Health and Safety in the Workplace. Assess your culture around the topic of innovation, and help you develop action plans around nine dimensions of the SOQ Climate Change Brochure for ROE. Discover how to have energizing conversations @ work, that lead to high-quality connections, trust, and increased collaboration. Lead strategic convening sessions where the whole system or representation of the system can discover, imagine and design solutions that will accelerate your change initiatives. Learn how to weave Appreciative Inquiry, Positive Psychology, and other strength-based approaches to create healthy, productive, and learning organizations. 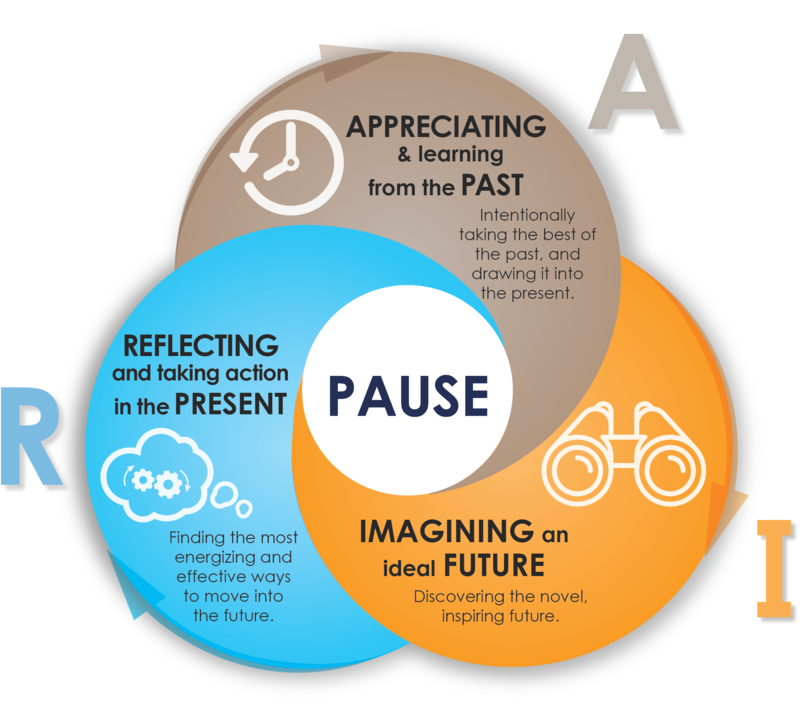 We start by encouraging you to pause. Then invite you to positively reframe each situation and ask generative questions. The foundation of our work is a change philosophy and methodology called Appreciative Inquiry. Download our brochure on Appreciative Inquiry in a Nutshell and learn more about this powerful and engaging change process. Through the power of Appreciative Inquiry and Positive Psychology, you will discover how to – shift your mental framework from a deficit focus to a solution focus. 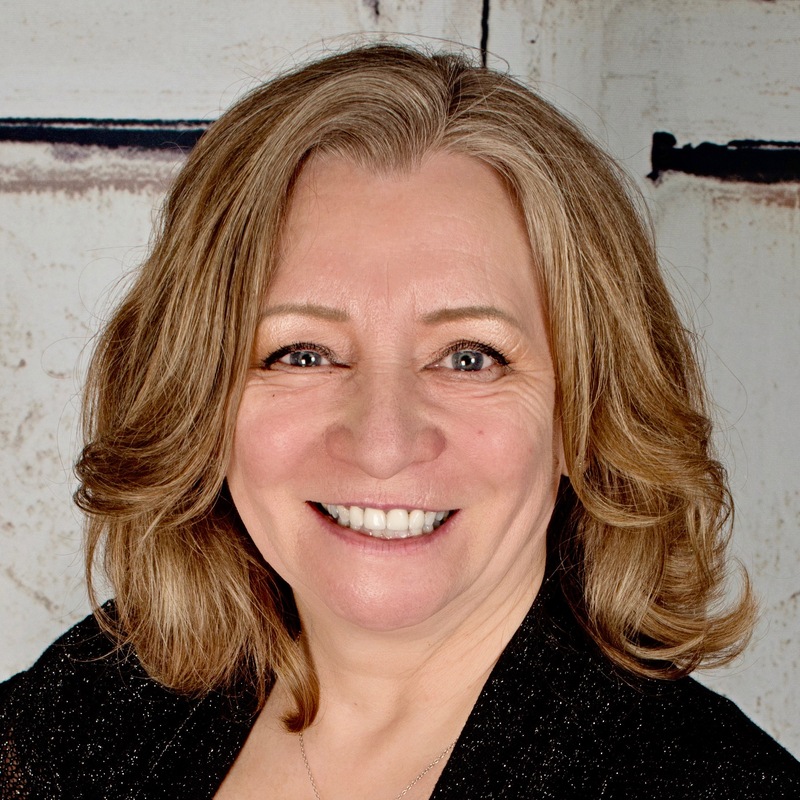 Maureen (Mo) is a leader in Canada in the field of Appreciative Inquiry (AI). As a global pioneer, of AI, Maureen has applied and taught the AI philosophy and methodology to business leaders, academics, and front-line workers since 2000. She has been a Certified Management Consultant since 2009, and a graduate of the Adler International Learning Coaching Program. In addition to her consulting practice, she brings more than twenty years of wisdom and practical management experience to client engagements. Prior to starting her own consulting practice, she held management roles in manufacturing, services marketing, total quality management (TQM) and organizational effectiveness. Early in her career at Xerox Canada, she became the first female manager in their remanufacturing plant. She wrote a humorous short story about her first day at the plant – click on the link to read Pink Steel-Toed Shoes, published in the book: The Totally Unknown Writers Festival 2010. In 2013, after watching the documentary on climate change – Chasing Ice, she asked herself: “Might it be that organizations and communities are experiencing their own climate change crisis?” This led her to write the article Harnessing Human Energy to Renew Positive Organizational Climate and to create Return on Energy consulting. Ready to explore how you can elevate your business and increase your Return on Energy?